Spread too thin and spending too much time finding answers to your employee management questions? Our experts will be there when you need them so you can save time and move on to other important matters. Are you struggling to stay on top of all your employee issues? Do you feel you are making employment decisions without enough information? 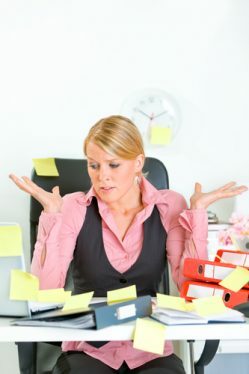 Do you feel like you could get more done if you didn’t have to spend so much time researching employee issue? Would you like the security of knowing you can call an expert whenever you want to get the help you need? At The Lunt Group, we can provide the expert support you need to free up your time for other important matters while giving you the confidence that you are making the right decisions. We provide flat fee HR support services. What this means is that you pay a single amount each month for unlimited access to our experts. You don’t need to worry about running up your bill because you are calling too frequently or because your issues requires more time than expected. You can pick up the phone or send an email whenever you like, worry-free. If you have a quick question you just don’t want to bother researching? Give us a call. If you have a complicated issue to research? Give us a call. Want to create a new HR form, but don’t want to take the time to do it yourself? Give us a call. Have questions about a new policy you’re developing? Give us a call. You can give us a call about almost every HR issue you need help with and we will be here to help. Your success is our success, so we promise to provide you the support you need with the service you deserve. You spend too much of your time dealing with controversies in your workplace; you don’t need one when dealing with your HR expert. We promise to get you the answers you need in the time frame you need them without adding more stress to your life.